Last year we announced Veeam Managed Backup Portal, exclusive to the Microsoft Azure Marketplace. This Azure-based solution was well received among Veeam’s managed service provider (MSP) and value-added reseller (VAR) communities. This enabled the delivery of remote monitoring and management to their customers' Veeam Backup & Replication environments. 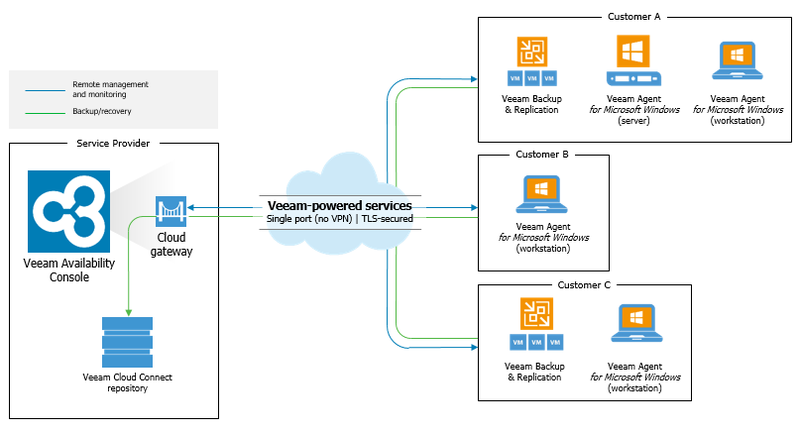 Veeam Managed Backup Portal came with zero connectivity requirements between the MSP and their customer, and minus having an Azure subscription, there were minimal upfront costs, making these new recurring revenue streams even more profitable. Veeam’s R&D team has been hard at work and today we’re releasing the next evolution of Veeam Managed Backup Portal — Veeam Availability Console. 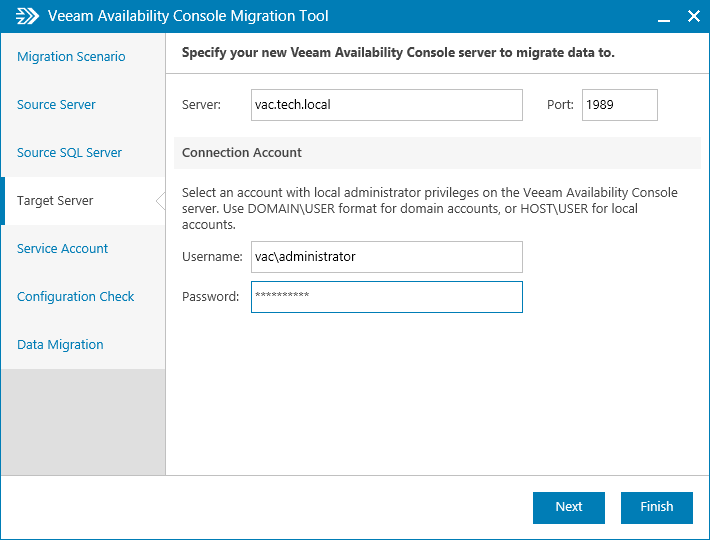 What is Veeam Availability Console? Veeam Availability Console is a FREE cloud-enabled, multi-tenant platform that delivers everything a service provider needs to deploy, manage and monitor their customers’ Veeam environments — virtual, physical or cloud-based — no matter where they reside. There’s no doubt that Veeam Availability Console is a powerful solution for service providers, but equally powerful for the large, distributed enterprise. Veeam has a network of more than 16,000 Veeam Cloud & Service Provider (VCSP) partners that are currently monetizing Veeam Cloud Connect Backup as a Service (BaaS) and/or Disaster Recovery as a Service (DRaaS) to their customers’ virtualized environments, with zero connectivity requirements due to Veeam’s cloud gateway technology. This core Veeam Cloud Connect capability is responsible for receiving external connections from customers and tunneling the traffic over a single TCP/UDP port 6180 (no complex firewall rules to manage), secured by a TLS connection and SSL certificate. Veeam Availability Console simply plugs into either an existing or brand new Veeam Cloud Connect deployment with these minimum requirements. Tip: If you're new to Veeam Cloud Connect, check out the Veeam Cloud Connect Reference Architecture. The diagram below shows a service provider infrastructure (left) running Veeam Availability Console for Service Providers within their data center which utilizes their Veeam Cloud Connect 9.5 Update 2 environment to receive data through the Cloud Gateway. It’s a best practice to deploy multiple cloud gateways with at least an N+1 design, allowing for full redundancy ensuring you’re always connected to the customer. Whenever the customer is adding their service provider (using the credentials provided) within their Veeam Backup & Replication console, they will need to make sure that they allow it to be managed by the service provider. In Veeam Availability Console's multi-tenant user interface, both the service provider as well as the customer will be able to see in real-time the exact status of their environment. This management includes the ability to remotely start and stop all Veeam job types including backup, replication, backup copy and backup to tape. Also provided is the ability to download the log files from the remote Veeam Backup & Replication Server. This is an awesome capability that allows for remote troubleshooting on behalf of the customer. One of the coolest features is the ability to remotely access the Veeam shell. 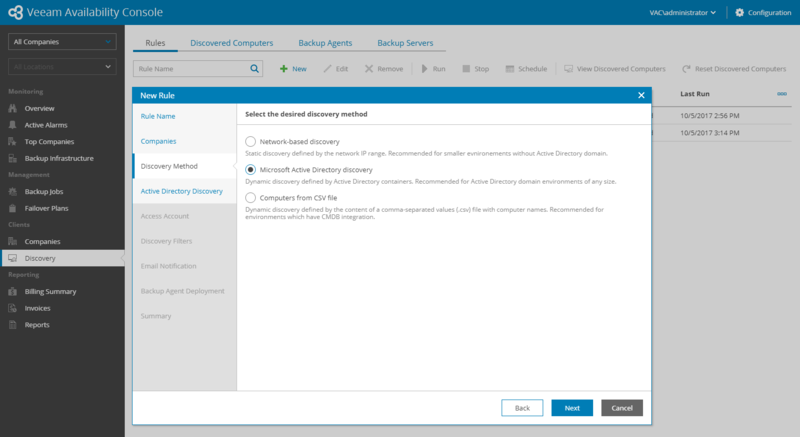 If you recall, this feature was added to Veeam Backup & Replication 9.5 Update 2 — and the development team has also added this functionality to Veeam Availability Console. What about machines that are not being protected, jobs that have not completed successfully or repository’s low on capacity? These issues can be troublesome to locate if you’re not watching the environment daily. Veeam Availability Console ships with an alarm engine that will notify administrators and customers when things go awry. Veeam Availability Console includes more than 30 predefined alarms that monitor the many different Veeam components – users can even have Veeam Availability Console execute PowerShell or batch file when an alarm fires. The “Computers Not Protected” will alarm whenever there’s discovered computers that are not being protected. There’s even built-in reports that will be delivered to your email box. Veeam Agent for Microsoft Windows 2.0 has seen massive adoption since its release earlier this year. During this timeframe, we have seen immense interest from VCSP partners who’d like to offer centralized management of their customers’ backup environment for these agent deployments. Veeam Availability Console provides the mechanism to remotely discover Windows-based servers – physical or cloud-based – as well as workstations, regardless of where they're deployed. Veeam Agent for Linux support will be added in a subsequent release. Remote discovery is automatically performed by a master agent that’s based on either network IP address range, Active Directory or .CSV file. Once the computers are discovered, it is very easy to push out the Veeam backup agent software - regardless of location or connection. Portal administrators can control their agent backup policies also. These policies control what gets backed up, how frequently, etc. There is no limit to the amount of backup policies that can exist within a Veeam Availability Console deployment, so you can deliver on specific service level agreements (SLAs) on a per-customer, or even on a per-instance basis. Veeam Availability Console is driven on an API-based architecture that allows for the automation of the common data protection management, configuration and billing tasks that your customers demand. Veeam Availability Console ships with a JSON-based RESTful API that will plug into your existing portal applications and workflows to give your customers the same consistent user experience they’re used to. A great example of leveraging this new API is integrating Veeam Availability Console data with your existing portal and in-place billing systems. 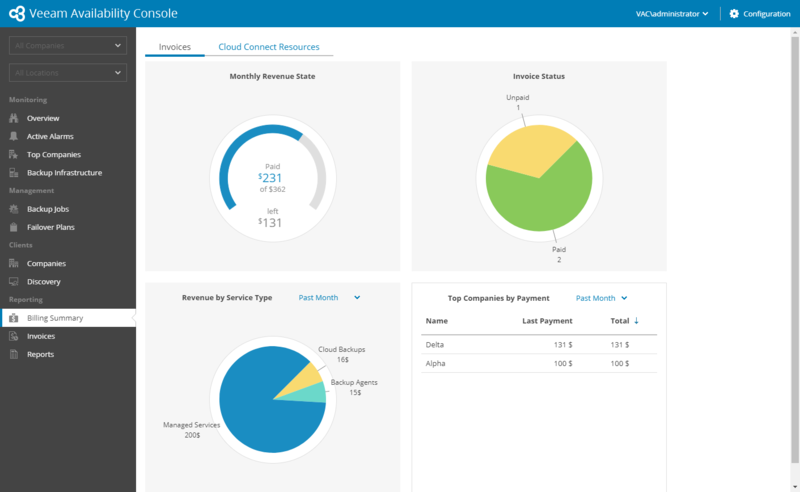 Now if you’re new to the cloud provider arena, don’t sweat – Veeam Availability Console includes an out-of-the-box native billing system for those that don’t have an existing billing framework in place. Veeam Availability Console provides an easy way to visualize, explore and interact with the API framework via the Swagger UI. Many of our VCSP partners that have been participating in the beta program have been testing and providing great feedback – I expect this API to be used by many of our VCSP partners and we look forward to seeing work with its possibilities! The image below displays the billing summary which is available through the Veeam Availability Console web UI. Customers can also retrieve their invoices directly through the web UI or via email too. Customers and departments need to be able to access their resources too. Veeam Availability Console provides not only an administrator experience, but also a customer/tenant experience as well. Customers can control their backup file decryption key – very important when we’re talking about cloud-based backups. Veeam Availability Console allows customers to manage their Veeam Backup & Replication, Veeam Agent for Microsoft Windows, and create additional user accounts or retrieve invoices from anywhere there is a web browser. There's even support for touch screen devices. 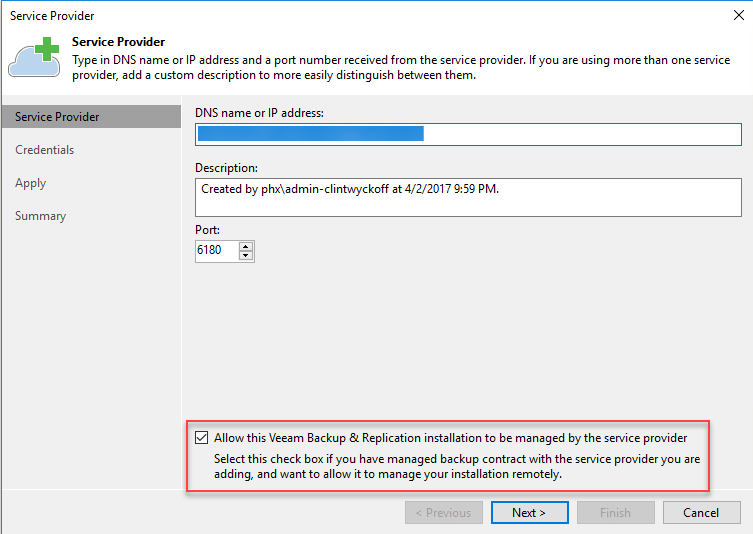 Already using Veeam Managed Backup Portal? For service providers that have been using Veeam Managed Backup Portal, Veeam’s awesome R&D team has built a migration tool to get you started with Veeam Availability Console quickly and easily! This wizard driven utility enables you to migrate all your data from Veeam Managed Backup Portal, with the option to reuse your existing Veeam Cloud Connect server, or a fresh installation. The entire process is documented in detail at the Veeam Help Center. 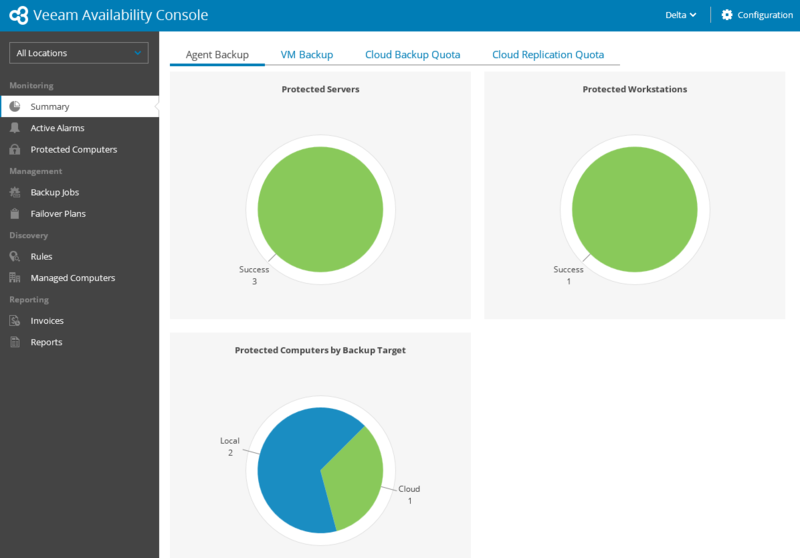 Veeam Availability Console comes in an Enterprise flavor as well – Veeam Availability Console for the Enterprise – designed for distributed enterprises operating and managing local and remote Veeam environments on scale, just like a service provider would. 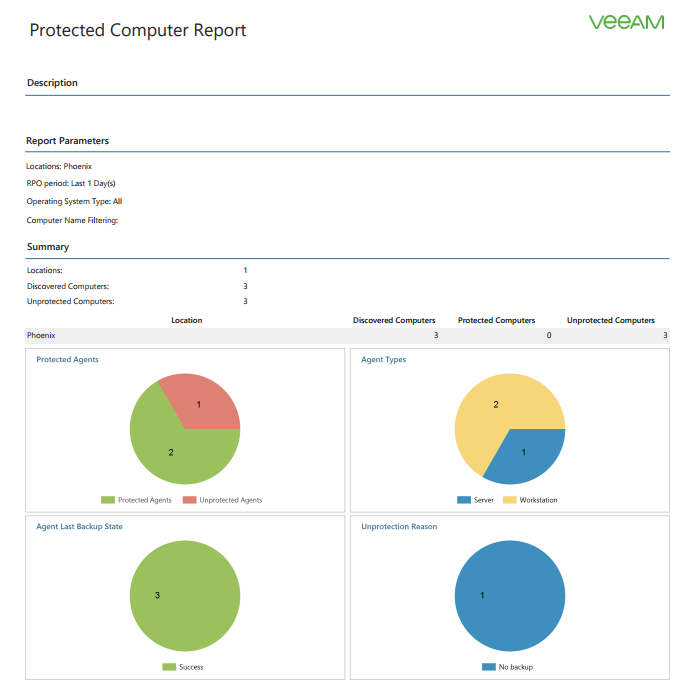 If you’re a large enterprise customer and would like to try out Veeam Availability Console for the Enterprise, reach out to your Veeam representative to get your FREE copy. Veeam Availability Console was designed and purpose built for service providers looking for an efficient yet powerful console to manage all their customers distributed Veeam workloads – whether they’re virtual, physical or cloud-based. Service providers can download FREE Veeam Availability Console directly from Veeam.com. DOWNLOAD Veeam Availability Console NOW! Please share your comments below and be sure to head over to the VCSP Community Forum and share your feedback with the rest of the community. To apply for the VCSP Community Forum, use User Control Panel > User Groups option when logged in with your Veeam forum account.